Do I Need Flood Insurance in Tampa, Orlando, Clearwater, St. Petersburg, Lakeland & Surrounding Regions? Have you been wondering, “ Do I need flood insurance? ” If the answer is yes, then you probably do! That’s because those who are thinking about flood insurance tend to be those who live in naturally flood-prone or coastal regions and have witnessed water levels rise on or near their property. At Five Brothers Insurance, we can provide you with quotes for a residential or commercial flood insurance policy to help protect your valued investments when you need it most. Do you own a home or business in a flood-prone region? Do you own a property in a high-risk flood zone that requires flood insurance on mortgaged properties from federally regulated or insured lenders? In the event of a catastrophic flood, would you be financially prepared to restore your property and replace your equipment and belongings? Do you want to risk your most valuable assets in the hopes of qualifying for FEMA flood insurance? Does your property qualify for flood insurance? 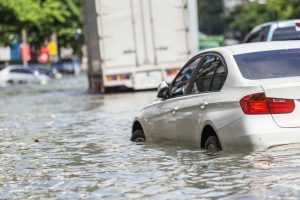 If you answered yes to one or more of the above questions, flood insurance might be a vital tool to have on hand should you ever find yourself under water. At Five Brothers Insurance, we can help educate you on why flood insurance is not included in standard homeowners and commercial property insurance policies and what options to seek for comprehensive coverage. Our team of insurance experts has the experience and knowledge to provide you with policy options that meet your needs at prices that won’t break your bank. In fact, we are able to provide multiple quotes from a wide range of carriers because we are still an independent agency with the freedom to shop the market. If you own a home or business in Tampa, Orlando, Clearwater, St. Petersburg, Lakeland or the surrounding regions and have wondered, “ Do I need flood insurance? ” even once, contact the flood insurance experts at Five Brothers Insurance today with questions or to request quotes. We can help you choose the residential or commercial flood insurance policy that best meets your needs and help you with any other insurance needs you might have including auto insurance, boat insurance, homeowners insurance and more.